A Storm Jackal from the Halo 4 video game! Storm Jackal comes with a Covenant Carbine weapon! The fragging fun of Microsoft Studios' Halo 4 video game need not be limited to your TV screen when you've got the detailed, articulated Halo 4 Series 2 Storm Jackal Action Figure! The Storm Jackal features the more reptilian look seen in the Halo 4 video game and includes the Covenant Carbine weapon. You can't go wrong making this Series 2 Storm Jackal action figure a gift for the gamer in your family! 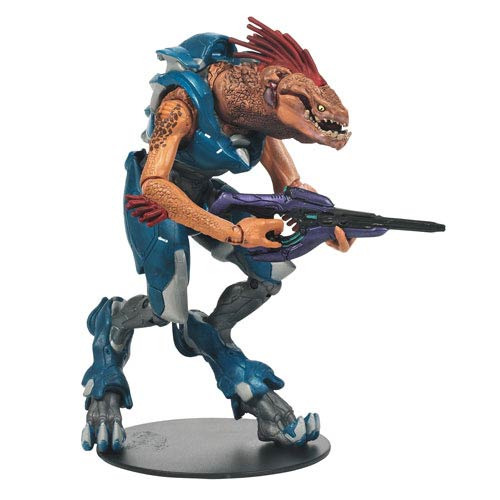 The Storm Jackal Figure comes with a code that unlocks exclusive content within Halo 4!